First, give some thought to what kind of riding you want to do, your level of experience, and your overall approach to cycling. Why do you want to ride? For fitness? Just for fun? Casually or seriously? Where do you want to ride? Street, bike trail or off-road? How frequently do you plan to ride? The more you know what you want, the easier it will be to buy a bike. 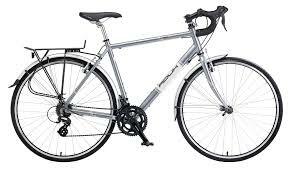 Find a good professional servicing bicycle dealer in your area. Tell the professionals what your desires are, and let them advise you on appropriate bicycles for your needs. Choose a store where you are comfortable, where you are treated with respect, and where they listen to you. 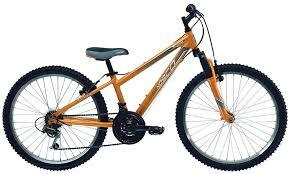 Mountain bikes. 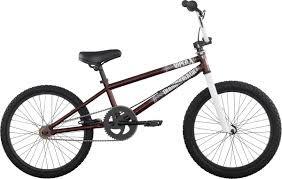 Features; fat knobby tires for comfort and traction, flat bars for great control, and low gears for easier hill climbing. 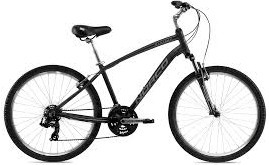 Some mountain bikes have suspension for increased shock absorption. Road bikes. These are meant for pavement riding, and are built for speed. They have narrower tires and drop bars for a more aerodynamic position. Hybrid bikes. These are a cross between mountain bikes and road bikes — for the rider who wants to do a little of everything. Hybrids generally have treaded tires which are narrower than mountain bike tires, flat bars, and higher gearing than mountain bikes. They’re good for commuting, comfort riding and city riding. Cruisers. 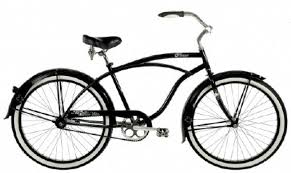 One-speed or multi-speed, cruisers are for the casual rider who wants to, well, cruise. Juvenile Bikes. These come in many varieties, from one speed cruisers, to performance BMX bikes to Multi-speed Mountain and road bikes. Comfort bikes. 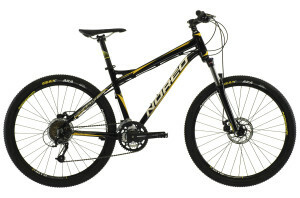 These are specialized mountain bikes or hybrids with more upright riding positions, softer saddles and lower gearing. They’re built for, as the name implies, comfort, but are also designed to perform well. Recumbent/tandems/electric assist bikes. There are numerous “niche” bicycles available today. Recumbent’s allow people to ride in a “recliner-chair” position with feet forward. Tandems allow two riders on a bike. Also, a number of companies are offering bicycles with electric-assist motors. 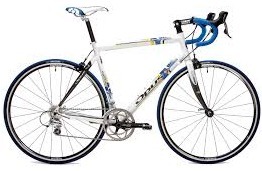 The size of the bicycle is critical for comfortable riding. Work with your retailer to determine the proper size for you. 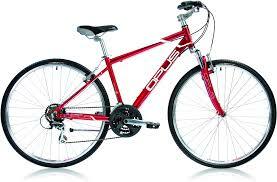 Some bicycle models have eight or more sizes. The length of your inseam determines the correct frame size, in terms of stand-over height. The reach to the bars is also critical for comfort. Buy what you like. Feel good about what you’re buying, how it looks, how it rides. Ask to take a test ride to compare bikes. If you haven’t ridden a dealer-quality bicycle before, be prepared to be surprised at the exceptional value and quality available today. Ask the bike store for advice on things you may not understand, such as quick-release operation, shifting, braking, maintenance, etc. Be sure to receive an owner’s manual with the bicycle, and read it. Owner’s manuals contain valuable information to help make your experience safer and more fun. Ask for advice on other equipment you may need or want. Buy a helmet first, and wear it. There are many other products which can enhance the riding experience (see related article). At an early age Rick Din and Rob Din, whom are identical twins became fascinated about fixing bicycles. We emigrated from Guyana to Canada in 1991, soon after arriving we both landed jobs as bike mechanic in a bike store. Over the years our interest grew stronger for the bicycle business, which led us to establish Bicycle Depot, in 1997. Today we have become one of the most recognized bicycle store in Toronto, and in 2011 we were presented a Bronze award by the Toronto Sun reader’s choice. We strive for “Customer Service Excellence”.Our good business practice, community involvement, and loyal customers has attributed to our reputation and success. We are known from inception for providing, quality products at the most competitive prices. Our mechanical expertise, knowledge and passion for fixing bikes, has enable our customers to enjoy cycling.